North Texas Kids wants to know what our readers are doing to have fun this summer and we’d love to hear about your family’s experiences. The prize for participating in this giveaway, is a set of 4 one-day passes to Hawaiian Falls! Best part is that we are giving away THREE SETS so that means three families have a chance to win a set of passes! 1. Contest is open to current or new North Texas Kids eNews subscribers. If you don’t currently subscribe, you can sign up below. Have the kids gone to camp? Where did they go and how did they like it? Have you taken any family vacations? Where did you go and what was your favorite/least favorite part about it? What has been your favorite summer activity so far? Did you find out about any fun activities through North Texas Kids? *Please make sure the email you use to leave the comment below is the same as the email you use to receive our eNews so your subscription can be verified. Contest ends on Tuesday, July 24, 2012. Winning eNews subscriber will be notified by the email used to leave your comment below. Subscribe to our eNews and get information you need in an easy-to-read format. Best of all, it’s FREE! Sign up below and get connected with North Texas Kids, DFW’s best online resource for raising happy, healthy kids! My older son is in Fl at the Tampa Bay Rays Baseball camp and he is having a blast!! My little guy starts karate at USA Martial Arts in McKinney tomorrow and is super excited! My husband and I went to Playa Del Carmen, MX and stayed at Secrets Maroma Beach Resort…AMAZING TIME!!! We LOVE N.TX Kids Magazine!!! Money is tight and hours are cut, so I’ve been taking a day off here and there, taking advantage of free or discounted events. 🙂 Planning on a couple of two day trips before the end of summer. My family hasn’t had a vacation this summer. So far we had a new baby! And just have done small stuff. Bowling, movies and out to eat. My family would love a water getaway.. We have never been! Having in a new baby is pretty exciting, congratulations! My kids have done swimming lessons; a lot of Plano library storytimes, splash parks and pools, and 1 VBS and 1 camp coming up at Christ United Methodist Church in Plano. My kids have gone to camp at Best Gymnastics, they loved it! As always. My daughter also went to dance camp at Sacred Ground and had a great time. My son is going to camp soon at Legoland, hopefully he will have a great time. We just got back from Belize! My husband and I took our two little girls, 2 and 4, to Port Aransas for a week. We stopped off to visit family in Houston on the way there, came back through San Antonio on the way back. This was the first time either of my girls had seen the beach. Their little faces and big smiles while splashing in the waves made our vacation the best ever! My oldest boy (9 yrs old) just got back from a month trip to Alaska. We (2 younger boys (5 and 7)) have been going to the Cinemark Summer Movies. In a week we will be taking our 1st trip to Great Wolf Lodge. Then football season will start for my 7 yr old. My daughter has been to swim camp, Vacation Bible School, and Cooking Camp. We have been to South Padre Island, which was the kids first time to the beach. My daughter has been to Art Smart Camp, Math and Science Camp, 3 different VBS, cousins came to visit from Florida, swimming lessons, and visiting grandma. Our family was able to go to Disney World and Universal Studios for the first time. It was the best family trip ever and the first time for all of us to ever go. I am not sure if the kids or us parents had more fun. Our family went on a cruise this summer for my parents’ 50th wedding anniversary. This was the first time the kids have ever been on a cruise, as well as myself. We went to Peurto Rico, St. Thomas, and Grand Turk. It was so nice to spend a week with our whole extended family. The next adventure they get to take is to California. My son will be attending a video game creation camp. While they are there, they will be visiting Universal Studios and going to see the Hollywood sign. Wow, what a great summer!! We have been spending lots of time at our neighborhood pool. We have also participated in the Frisco Public Library’s summer reading program and have had so much fun taking advantage of all the “freebies” that the library awarded! Thanks to NTK for letting us know about this event, we will be heading to the ISI Worlds at Dr. Pepper Arena this week to beat the heat and watch some ice skating. Our big family vacation will be a trip to Destin, FL just before school starts! We go to Gymboree, the spraygrounds, and the library. We also have gone to the Indoor Safari and CooCoo’s. Any place with an indoor playground for lunch work, too! My son went to Fishing Camp through Allen, TX and he loved it! He caught several bass with artificial lures which is amazing because I have never caught any fish with plastic worms! He also enjoyed going to the Lavender Farm which is on your site about 100 free things to do this summer. I bought him lavender body wash which he uses every night. He LOVES to visit local farms and orchards. We also took a family vacation to Florida and the kids and their father enjoyed “Snuba” which is kind of between scuba and snorkeling. I, however, would never put my head under the water, and preferred to walk near the beautiful shore. We also found out about “This Side Up” a non-profit organization in Plano. We enjoy playing bingo there sometimes. And my son has been selling ducks for them, and he is the number one seller, right now! I can’t understand how he can be in first place- you see, he has Asberger’s Syndrome, and I think he must bore his listeners to death describing every aspect of “This Side Up” so they buy a duck from him just so he will leave them alone! Oh, by the way, there is the free duck race this Saturday, the 28th of July- my son is the one who will be talking and talking! Besides that, the highlight of our summer would be our evening fishing in the little pond by our house, or the swimming at Allen Pool. So, that would sum up our summer! Yes, we often check out your site as we keep ourselves very busy during the summer. We’ve been having a great summer! Enjoying time with each other. Our bigger kids went to youth camp and our younger ones have been enjoying swim lessons and a local VBS program at our church. We also have been reading to keep our skills sharp for school in the fall. We would love to win the tickets to end summer fun with one last adventure!! Thanks so much! We have gone to the Carrollton pool, completed two weeks of swim lessons, had a week-long beach vacation, a weekend getaway to Austin, had a great time at VBS (two — one at our home church and one at our neighborhood church), participated in Dallas and Carrollton’s summer reading programs, and LOVED Dallas’ Heritage Village’s Old Fashioned Fourth! We’re ending the summer with a week-long art camp, a trip to Six Flags (thanks to their Read to Succeed program) and a Rangers game! We’ve done a lot! Our family (16 total..immediate and extended) vacation will be camping and sight seeing through Black Diamond, Seattle, Port Angeles and La Push beach in Washington. We will also take the ferry for a day trip into Vancouver. Our “fun” for the summer has been moving into a new home. We bypassed our annual trip out West and instead had relatives from CA and AZ come see us. Thankfully my son participated in a Chess camp and will be doing swim lessons and Lego campat the neighborhood YMCA. My daughter is doing swim lessons and a dance camp. We are sooo thankful for the Dallas Public Library for the many wonderful presentations and guest speakers they have provided during the summer reading program. 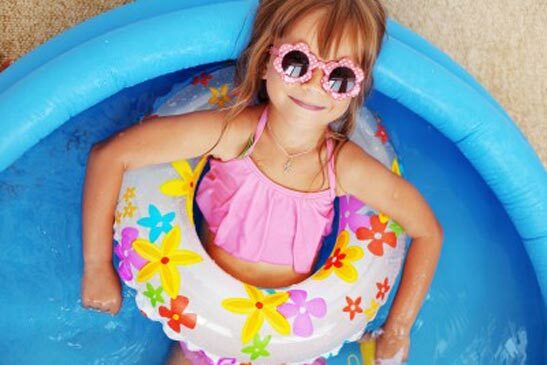 We would really love to treat the kids to a day of fun at Hawaiian Falls. We’ve never been – thought this might be the year to try it! My child and I have tried to stay cool this summer. I am always looking for any free/inexpensive places to go with her. I signed her up for swimming classes just to keep her busy and cool. We have done other fun things like gone to the movies, Ballpark in Arlington($10 Fridays), and Six Flags(Read to Succeed ticket). Recently, we took our family vacation to San Antonio. There we stayed at a hotel next to the rivercenter mall. We visited the Alamo and went to Sea World. We also, took a cruise on the riverboat…now that was FUN!!! Our favorite activity has been our Family Vacation to Sea World. We especially, liked going to Sea World and seeing all the different sea animal shows. Shamu was our favorite sea animal. But, we still have some time untill school starts…so we would definitely like to continue staying busy by winning some tickets to Hawaiann Falls :). This summer we’ve been traveling the country to visit family and friends we don’t get to see during the school year. So far we’ve been to Colorado, New Mexico, and Minnesota! My family & I have been going to the Bedford water park, it is affordable and my 3 kids love it, we have also had a few slumber parties!! We would love to win this!! Thank you for the chance NTKids!! Also thank you for the newsletter, the information is very helpful, I love it!! My son went to one week at YMCA, and had so much fun. Money is tight so we gave been outside in the sprinkler a lot!!! Camps at WinKids and Montessori Episcopal School have been great fun for the kids. We had a fun family day trip to Mineral Wells to hunt for fossils. My daughter just completed the 2 week musical theater camp at the Dallas Children’s Theater. She has done it for three consecutive summers and loves it. She’s taken theater classes during the school year, but the summer musical camp includes singing and tap dancing, which she really enjoys. We also took a short trip to Colorado to visit my sister and get an additional opinion on my daughter’s health issues. It was very sad to see and smell the smoke from the various fires in the area. My heart goes out to the families who lost their homes. Sadly, we haven’t had a chance to vacation this summer yet! I’m hoping to put something together in the next few weeks~!! We have had fun this summer! My son has gone to HEROES camp, a special needs day camp, for two weeks. He also loved summer school. He has been keeping busy with Special Olympics swim practice and gymnastics as well! No vacations this year, just staying home and playing. I think our favorite activity has been the Dallas Museum of Art autism event back in July. He loved getting to create some art, and the Nasher had the free Saturday on the same day, so we walked over and enjoyed the sculpture garden as well. My little girl is participating in an art camp at Vista Ridge Discovery Preschool and has loved it! We have also been busy with local activities like the Willowbend Mall Summer Fun series and library events. We are excited to head to the circus next week and learned about that through NTexas kids! Thank you NTexas Kids for the hard work you put into keeping the area informed of awesome family activities and events! My son has had one crazy summer. He is 6 years old and on the last day of school he had to have emergency surgery to have his appendix removed. So after that he was unable to get in water, ride his bike or do anything fun for 4 weeks. But, once he was able we went to the lake and he got to go swimming and ride the tube. Now he is sick with a terrible stomach bug. So that has been his summer in a nut shell. Whenever he fells better he wants to go to the water park but he has to fell better. We went to Ripleys Believe it or Not in Grapevine and had a blast. I love using North Texas Kids to find out about all the upcoming events like the Duck Race in Plano Sat. and the stay and play days at McDonalds that are coming up. We had a blast at Legoland and the Sealife aquarium. We enjoy This Side Up in Plano. The BINGO nights are awesome! We use North Texas to plan our weekend activites. Love it!!!! My children have been it lots of church camps and sport camps. But, the most fun we have had is Fun Fantastic Friday! At the beginning of the summer, my oldest 3 children and myself wrote 4 things that we wanted to do this summer. They had to be within reason and within the metroplex. (I didn’t want disappointment when we obviously couldn’t go to Disneyworld if it was written down.) We put them in a bucket, and each Thursday night we draw out of the bucket. So far, we have been to The Dallas Aquarium, the zoo, Legoland, lunch and movie date with mom day, Build A Bear. This coming Friday,.we are trying to surprise them with Seaworld since we will be visiting family in San Antonio! We have not been on a vacation ever with our 9 year old daughter due to a tight budget. So, we try to enjoy many of the special things around the DFW area during the summer. My daughter was able to go the Mavs Hoops Camp as she rec’d the funds as a gift. The camp was so well managed. It was very organized, ran smoothly, the kids learned alot and had fun. Now, she’s focused on doing photography, writing short stories and doing artwork that she’ll enter into the State Fair of Texas Creative Arts competition and the PTA Reflections contest that occurs shortly after back-to-school time period. Course, there’s always swimming, parties and fun with friends & families. Tickets to Hawaiian Falls for our family would be awesome! Thanks for entering this contest — it is now closed. Congratulations to our Summer Fun Giveaway winners: Melissa A, Carrie S and Jennifer (jensplace)! You have each won 4 one-day passes to Hawaiian Falls Waterparks! Please look for an email from us with details. Thanks, everyone, for participating and for sharing all the fun things you are doing with your family this summer! Look for our feature on this next week.